I met Patrick Starrr through a mutual friend (my sister) and he caught wind of the type of work I do. Knowing that I have lots of production and interview experience, he asked me to help out on this shoot. I styled the testimonial set while they were shooting on another. When they got to the testimonial section of the shoot, I conducted the interviews, which is one of my favorite things to do as a producer! I am very happy with what ended up being used in the final product and I am extra happy that I have worked on something featured by MAC Cosmetics! Marielou Mandl is a tech blogger, photographer, filmmaker and host with a healthy appetite for gadgets + glam. 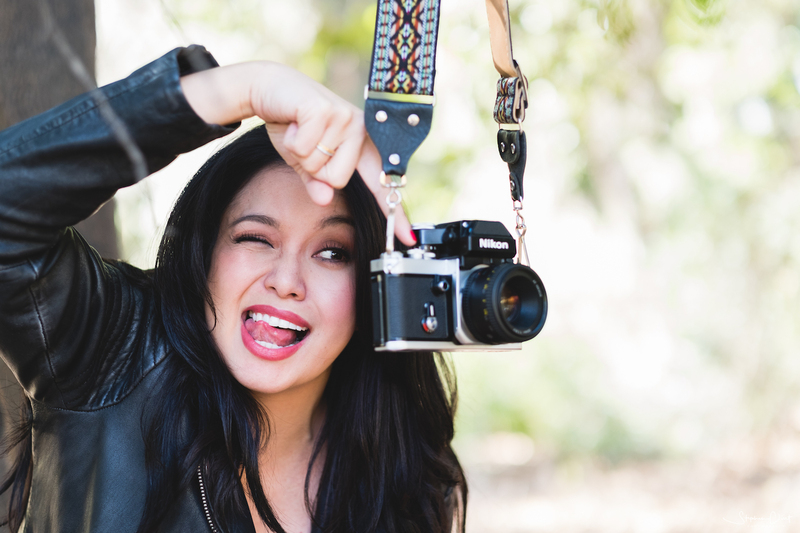 In addition to creating tech based content for her YouTube channel, she has produced photo/video content for clients such as Nickelodeon, HBO, Sesame Workshop, Nintendo, Cupcake Vineyards and more. When she is not playing with new gadgets or dancing in glitter, she can be seen as the host of her podcast On the Fly Filmmaking, featured on the hit online network Popcorn Talk. Marielou Mandl © 2019. All Rights Reserved.